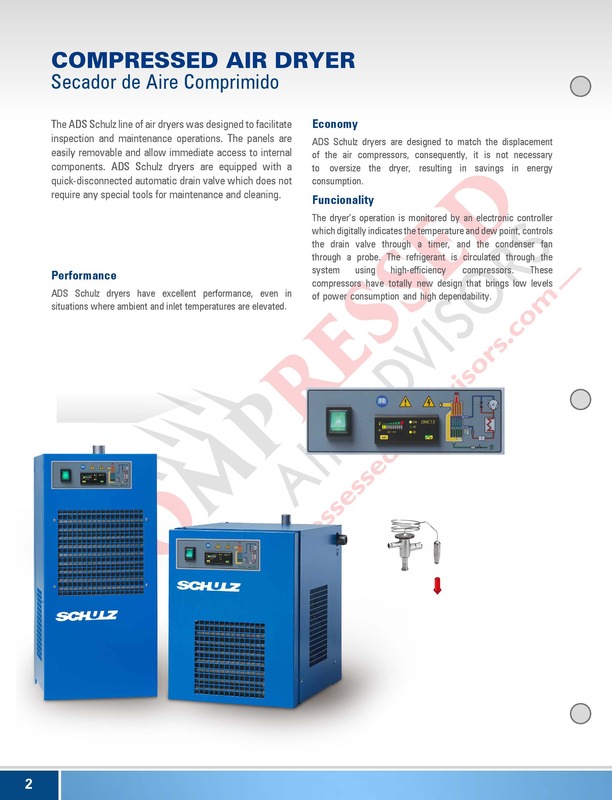 The Schulz ADS Series of non cycling compressed air dryers was designed to facilitate inspection and maintenance operations. The panels are easily removed and allow immediate access to internal components. All Schulz ADS dryers are equipped with a quick-connected electronic automatic drain valve which does not require any special tools for maintenance and cleaning. 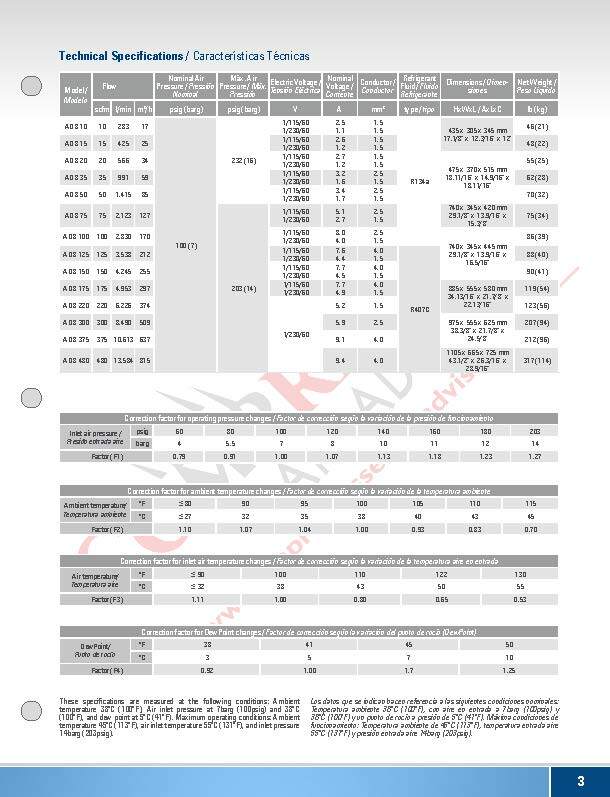 Schulz ADS dryers have excellent performance, even in situations where ambient and inlet temperatures are elevated. 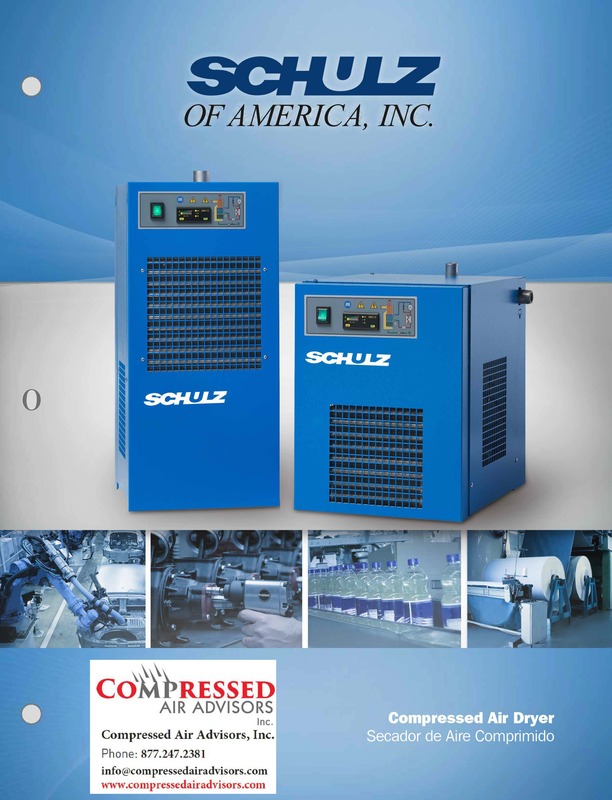 Schulz ADS dryers are designed to match the displacement of the air compressors. Consequently, it is not necessary to oversize the dryer, resulting in savings in energy consumption. The dryer's operation is monitored by an electronic controller with LED indicators which show the temperature and dew point, controls the drain valve with a timer and the condenser fan with a probe. 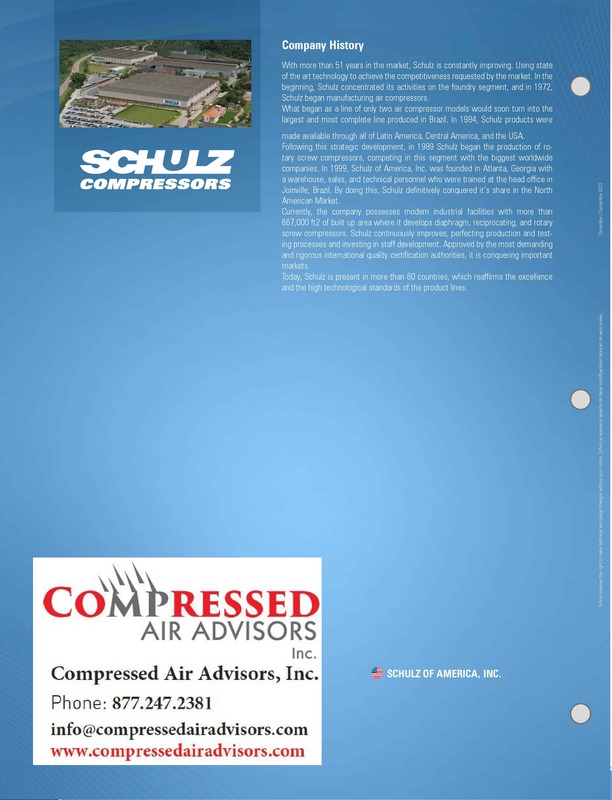 The refrigerant is circulated through the system using high-efficiency compressors. These compressors are a totally new design that brings low levels of power consumption and high dependability.